As a concerned, and involved, citizen of Breckenridge and Summit County, I will be voting “No” on ballot item 1A. Not because I disagree with the issues/items. There are some great needs to be supported in this ballot initiative. My “no” vote is because bundling issues/items has taken away my fundamental right that I, as an a American citizen, and property owner in Summit County, have to vote and approve on individual items that I agree with and believe in! 1A forces me to vote for four separate issues, in one vote! Wrong! I may support many, even all, of the four initiatives. However, if I don’t like them all, or the way the money is distributed, I’m forced to say yes to all to get the ones I want! This is wrong and should not be allowed. At the federal level this is called “pork belly” — add ons to federal bills to get votes. Surely we’re not going to allow pork belly items in our local elections! I’m not prepared to let some marketing people bundling items to get me to approve all to get a few issues approved for our county! So, I will vote “no” to 1A and suggest each agency come back to us in the spring to propose and support each individual initiative. I may likely say yes to each one. However, I will have had a choice! 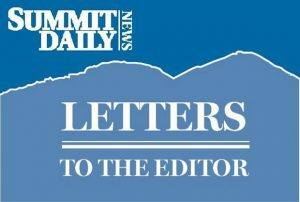 It is crucial that Summit County voters understand the difference between conservative candidates and liberal progressive candidates. It’s way more than just voting Democrat or Republican and it’s way more than voting straight party line. Liberal progressives generally think that government controlled at a distance by intellectual elites does a better job of running our lives than we do. As a result, they usually espouse more government spending for bigger social programs paid for by higher taxes on us. Conservatives usually think that we the people are smart enough and that we do a better job as individuals running our own lives; and the less government interference and lower taxes the better. If you want less government in your life, broad qualifying experience in your elected officials and high caliber personal character attributes in those candidates, I would encourage you to vote for Derek Woodman sheriff, Mike Mason House District 61, Peter Yu U.S. Congress and against Ballot Issue 1A so that we can bring it back later in four separate transparent ballot issues that can stand on their own merits.